Shadwell Opera's production of Peter Maxwell Davies The Lighthouse opens at Hackney Showroom on 3 November 2017 (until 12 November), directed by Jack Furness (artistic director of Shadwell Opera) and conducted by Finnegan Downie Dear (music director of Shadwell Opera) the immersive production will build on the company's recent successes including a double bill of Schoenberg's Erwartung and Mark-Anthony Turnage's Twice Through the Heart last year and Peter Maxwell Davies Eight Songs for A Mad King in 2015. The company has developed a reputation for bringing musical and dramatic intensity to contemporary and 20th century pieces, though perhaps The Lighthouse might seem a somewhat safe choice as it has quite an established reputation (the work was premiered in 1980 by Maxwell Davies' The Fires of London and Peter Sellars directed the USA premiere in 1983). 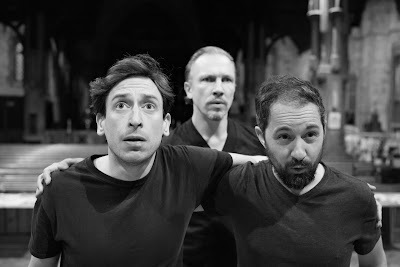 When I recently met up with Finnegan Downie Dear he explained that for him The Lighthouse had the best opera libretto that he had ever come across, combining clarity of structure with mystery and intrigue, incredibly well made yet a mystical ghost story. Whilst the company has a reputation for presenting contemporary works which deserve to be heard again, they want to change what people who have never been to the opera think about the form. With The Lighthouse, he and Jack Furness were presented with interesting challenges to bring something of Shadwell Opera's own style to the production. Past productions have blurred the boundaries between stage and pit, with singers and instrumentalists as equal components in the drama. Using Hackney Showroom's flexible space, this is something they will be doing with The Lighthouse, exploring further how the players and singers will interact having begun doing something similar with their staging of Maxwell Davies' Eight Songs for a Mad King in 2015. This latter, however, uses relatively compact forces, whereas The Lighthouse has a 'battery of percussion' and 'army of keyboards'. For Finnegan Downie Dear, if the drama of a piece of music theatre is strong enough, people will lose themselves in it as a theatrical experience. The intention is that any lover of drama or with an interest in stories being told will enjoy the drama of The Lighthouse. Though the music is at times astringent, there are also popular songs, and Finnegan feels you get drawn into the situation. Though the Erwartung / Twice Through the Heart double bill used a large orchestra, The Lighthouse will be the biggest scale work that they have yet done. Having previously done lots of chamber pieces and mono-dramas, The Lighthouse brings a far bigger theatrical palate, integrating technical, dramatic and musical aspects in a striking new way for the company. 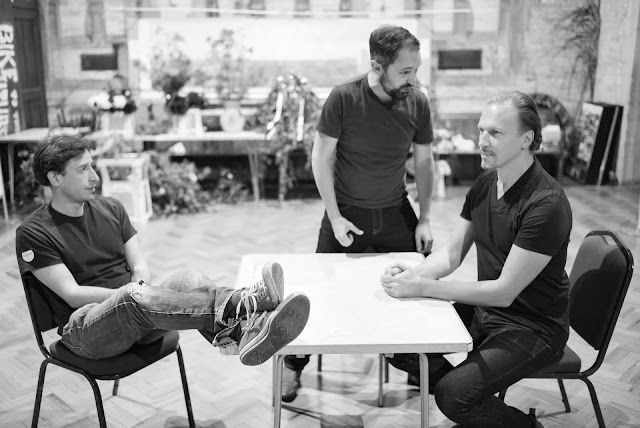 Shadwell Opera is led by artistic director Jack Furness and musical director Finnegan Downie Dear, and the two bring a strong individual yet shared vision of the work they are trying to make. As a director, Jack Furness has a strong musical ear and makes high musical demands, whilst Finnegan likes to be involved in the theatrical process, adding that this is why he conducts operas. For The Lighthouse they are working with three singers new to the Shadwell Opera team, Paul Curievici (Officer 1/Sandy), Owain Browne (Officer 2/Blazes) and Pauls Putnins (Officer 3/Arthur). It is an intense piece, which explores the boundary between fact and fiction, what it true and what is not. Finnegan comments that it demands a different theatrical approach and he feels the singers will be 'put through their paces'. Finnegan finds it fascinating how Maxwell Davies used history as a jumping off point for his own music, both in The Lighthouse and in Eight Songs for a Mad King. He describes The Lighthouse as a work which is viscerally engaging, yet forces you to ask if what you are seeing is real or imaginary, and it is incredibly audacious both in the drama and in the instrumentation. It demands a lot from both the players and singers, Finnegan adds that they have a fantastic team with great spirit. Whilst Maxwell Davies makes great demands on the voice Finnegan finds great humanity in the writing too. 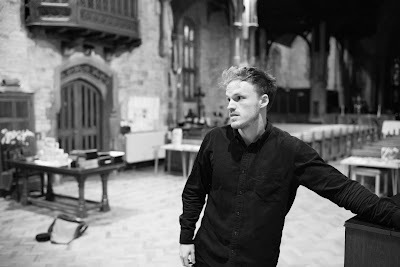 Shadwell Opera was founded by Jack Furness whilst he was an undergraduate at Cambridge and Finnegan Downie Dear has been conducting the group since 2015. Finnegan is also well-known as a pianist and accompanist. He finds that he is conducting more and more, but feels that it is incredibly important that a conductor never loses sight of how to make a sound yourself, which is far harder than telling people how to do something. Shadwell Opera now concentrates on contemporary and 20th century operas, always fully staged and with full orchestra. This is expensive and though they receive Arts Council money, it requires hard work to raise the additional money from private donors.